“I am fifty two and have been for the most part quite happy with the way I looked, give or take a few pounds or a few bad haircuts, however things took quite a turn as I hit my fifties and suddenly I began to feel that I looked really unattractive and whilst before a change of make-up or a new dress would make all the difference, of late it just made me feel worse. Make-up looked heavy and my predisposition for vintage clothes made me look like I’d lived it first time round. The contours of my face had really softened, especially around the jaw line, giving me a jowly look, also my under chin had become ‘soft’ and loose. This was especially noticeable in profile or when I put my chin down. 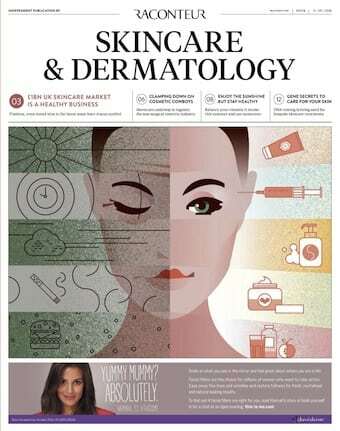 Dr Sherina’s approach is very inclusive, she spent a long time discussing with me how I felt about my appearance and what affect this was having on me, the conversation was friendly and all my questions were very clearly and fully answered. In all honesty I only felt a mild discomfort and although obviously there are needles involved so some people might be wary, for me it was only a question of relaxing into the idea and after that I was absolutely fine, I’ve had acupuncture before and it was less uncomfortable than that. The results are outstanding, just looking at the before and after photos I couldn’t believe how much more serene and fresh I looked. My face immediately seemed lifted, which took away the heaviness and the dark shadows of the nose to mouth lines and amazingly enough and best of all, my nose appears less sunken and smaller and my eyes look wider and less heavy under the brow bone. I feel definitely more attractive and this has had an effect on so many levels, when I get dressed instead of feeling frumpy in my usual clothes and generally negative about my whole ‘look’, now I feel that my outfits make me happy, and that I actually look how I think of myself as looking. I have regained some sort of sparkle that I definitely lost, and that is the best feeling in the world! “Fillers aren’t here to FILL. They are here to be used to correct areas where volume loss has caused signs that we do not like, as they make our faces look different from how they used to be. My patients don’t come to me asking to be filled. They come asking to look less tired, less angry, more awake, like they’ve just been on holiday and like they’ve just had a good night’s sleep. Liz came to me as she had just turned 52 and felt that her face didn’t match how she felt inside. She is a happy, free spirited woman, however felt that she was looking tired and that her face was starting to drop, making her look heavy. After a detailed consultation and treatment plan we agreed on carrying out a dermal filler strategy using the latest MD Codes in a full face approach. It was evident from her assessment that she needed volume correction in all of her facial compartments which were slowly and naturally starting to lose volume. Something that happens to us all as we age. 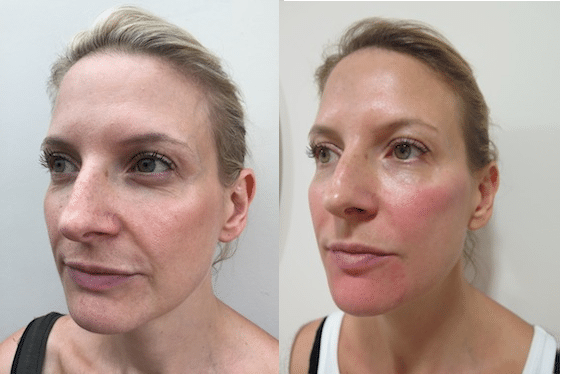 The last photo was taken 6 weeks later, once the fillers have had a chance to integrate with our skin and soft tissues. The results look and feel like her. And it IS her. Miss Balaratnam holds the prestigious title of “Local Country Ambassador” (LCA) for Allergan, the manufacturers of BOTOX® and the Juvederm® Ultra and the latest Juvederm® Vycross range of fillers. 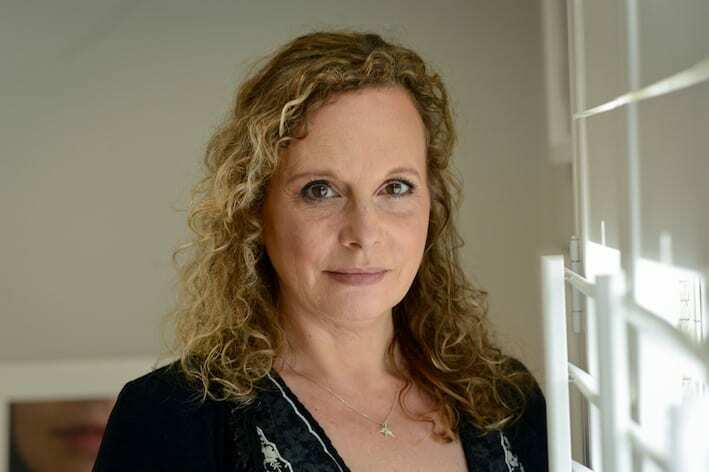 As one of only a handful of expert UK Doctor’s and Surgeon’s selected as an LCA, she believes in the importance of a patient taking the time to select the right practitioner for them and is well known for her subtle and natural results. 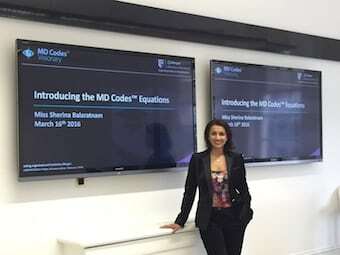 What are the MD Codes and how could they help me?